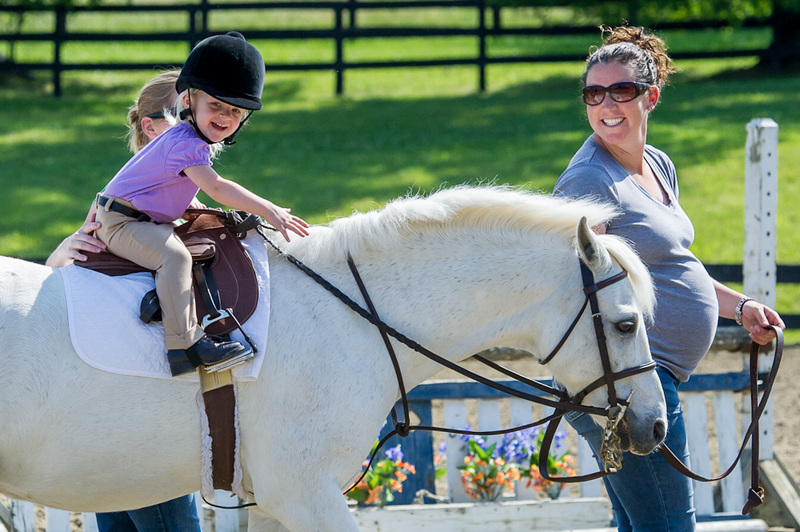 I had a great photo shoot last week with a 2-year-old named Elizabeth who is preparing for her show ring début in the lead-line class at the upcoming Upperville Colt & Horse Show (which conveniently fit into the A-Z Archive Challenge: U category). There’s just something so special about watching a young child discover her love of ponies. She enjoyed riding Cowboy, and her grin was infectious. She kept patting him on the neck and asking her instructor Amanda if she could jump the pole on the ground again and again. There are some days when, I’ll admit, I’m not as motivated to ride as I used to be. Sometimes it seems more like a chore. But then I remember this was how I started out, and it’s not hard to recapture that same feeling once I climb aboard. I just have to channel my inner child and forget about all of the deadlines and pressing commitments and simply take a moment to simply enjoy being with my horse. Yes we must remember to be like children from time to time…and just enjoy! I remember the first time I rode a pony. It’s an excitement that just can’t be repeated.